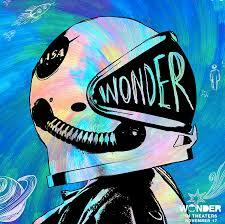 Recently I have been reading a book called Wonder by R J Palacio. It is about a kid named Auggie with a facial deformity. He is very nice but nobody is willing to accept that because of his face and he gets bullied because of his face. When he is at home or by himself he is often very upset about school more specifically how he gets bullied and about how people make fun of his face. He also gets upset about how he thinks some of his friends are just how people make fun of his face. He also gets upset because he thinks his friends are faking to be as friends and Mr. Tushman, the principal, assigned them to be his friend. Some words to describe Auggie at home are Angry, comfortable and happy. But at school, Auggie acts differently. Whenever Auggie gets bullied or his friends get bullied he just brushes it off. But he is very offended when he gets picked on. Some of his friends like Jack actually get bullied because of they have a friendship with him. A few words to describe Auggie in school are calm, shy and brave. In conclusion in Wonder, there are many many social issues and Auggie has the Worst of them. if you ever see someone getting bullied please stop them immediately anyway you can.